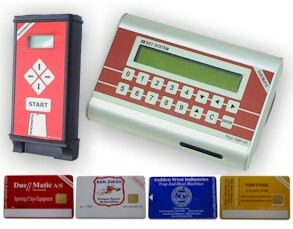 Pay and Play Card Systems have saved numerous clubs thousands of dollars a year. 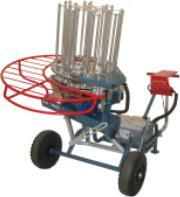 San Diego Shotgun Sports in San Diego, California found they were losing 15% of their targets to shrinkage. Calculate how much money you are loosing due to target loss with our target loss calculator! At Golden West we have thousands of parts in stock for immediate shipment and are happy to answer any questions you might have! 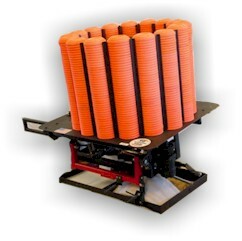 Payment systems like the Pay and Play Card System (above) can increase your clubs profits by lowering your labor costs, prevent target loss and also by having more of your fields open that run themselves, all a club needs to do is keep the machine full of targets. Automatic traps like the Pat Trap (above left) or the Due Matic Compact 8 12v w/cart (above right), can increase your clubs profits by lowering your labor costs and also by having more of your fields open that run themselves, all a club needs to do is keep the machine full of targets.